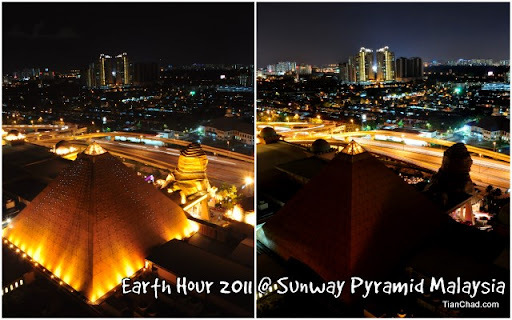 A little sneak peek of the view of Sunway Pyramid during Earth Hour 2011 Malaysia. The picture after lights were switched off was captured using slow synchronize mode. That explain the brighter street lights and to make the pyramid still visible.